Volkswagen has issued its second Atlas recall in the last two weeks. The first was to repair a potential brake problem that affects both Passats and Atlases. The second is specific to Atlas models. 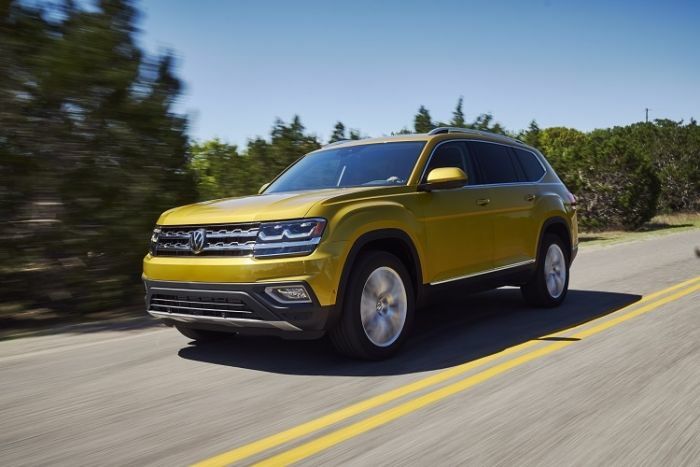 In its second recall in the last couple of weeks, Volkswagen has recalled another 10,000 2018 Atlas three-row crossover SUVs for problems with the air conditioning system. The issues may affect the curtain airbag system. VW built the Atlases at its Chattanooga production facility where it also builds Passat. VW issues 2nd Recall for Atlas. The problem involves an the SUVs’ A/C evaporator drain tube. The automaker recalled 9,685 Atlases. The issue involves the curtain airbags. It seems that if the drain tube is twisted or blocked it may overflow and short out the airbag control modules. The automaker discovered the problem last year when it first heard about the troublesome drain tubes appeared. The telltales of the challenge included: wet carpeting, or an odor best described as foul, or an illuminated airbag warning light. When it first reported, the automaker and the National Highway Traffic Safety Administration (NHTSA) didn’t consider it a safety issue. However, a new investigation began when there were reports of side curtain airbags that had failed to deploy. The probe showed the link between a shorted side curtain airbag system and the drain tube. The result was the recall. VW will begin notifying owners of the affected vehicles in the middle of October. At that time, owners will learn where to bring their cars to have the free fix performed. According to the automaker, the recalled SUVs were early model year SUVs. , VW built them in late 2016 and mid-2017. The Atlas was a new addition to the VW lineup for the 2018 model year. Volkswagen said in a government filing that it first became aware of the issue on Aug. 30, 2017, but that it and the NHTSA decided that the problem was "not considered as safety-relevant." On June 14, the automaker received a report of curtain airbags deploying "without cause" in an Atlas and it re-opened the investigation.